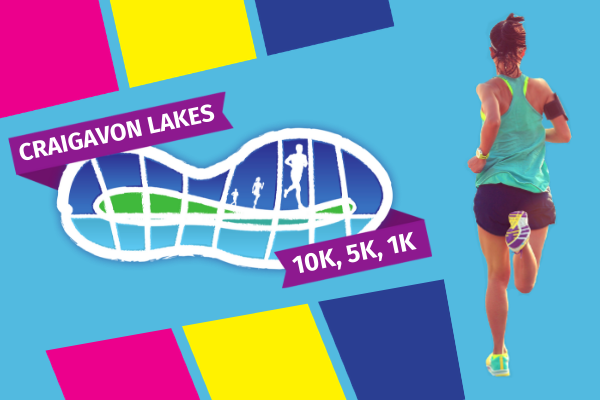 Craigavon Watersports centre will again host this year’s Craigavon 10k Lakes runs on Wednesday 5th June 2019. Due to the development of the New Leisure Centre, we have temporarily moved location. You can now find us just around the corner in Craigavon Civic Centre. The start and finish of the Race will be at the front of Craigavon Civic Centre and the route remains extremely flat, taking in the pathways around the picturesque Craigavon Lakes and City Park, ideal for both beginners and those pursuing a PB! 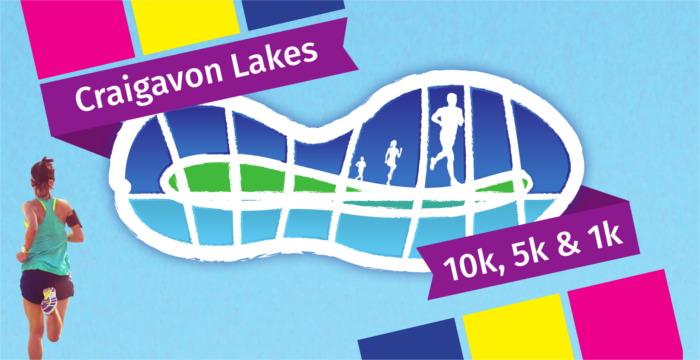 When is Craigavon Lakes 10k, 5k, and 1k Family run? Who can enter this years event? 1k Family Fun Run – All ages, 11 years or under must be accompanied by an adult. Yes, the 5k and 10k runs will be chipped/timed. The 1k Family Fun run will not be timed. When is the closing dates for entries? Early birds – If you book before 10 am Friday 31st May, you can collect your race number from Rushmere Customer service desk. Opening hours below. 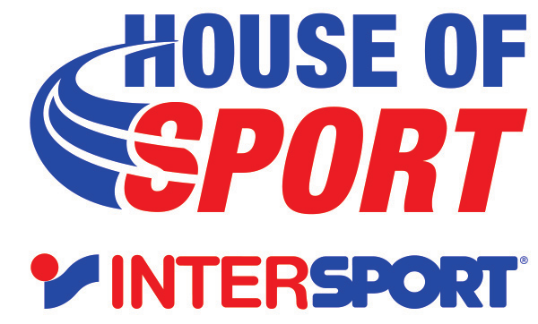 Late booking – For those who book after this time, you can collect your race number 45 minutes before your race starts in Rushmere shopping centre. Runners should bring email confirmation containing booking reference number and postcode. Runners should bring appropriate running attire, comfortable running shoes and wear their race number on the front of their top. All prizes are shopping vouchers which can be redeemed in Rushmere Shopping Centre. What if I can’t make it to the event? 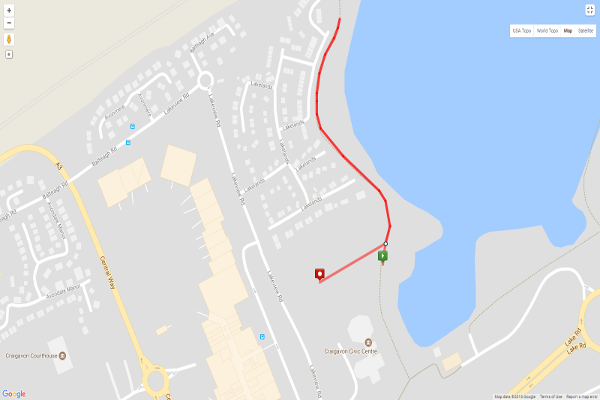 Can I change routes after registration? No, sorry this is not possible. 5k , 1k and 10k runners do need to sign for their race number on the day; You must wear your race number on the front of your running top. Please note the timing chip is part of your race number. No, runners cannot register on the day. What first aid facilities will be available? St John Ambulance will be on station at Tannanghmore Gardens, all lead cyclists and marshals are trained 1st Aiders. Defib’s available at Watersports Centre and Tannanghmore Gardens. Where is the official start and finish? The start is on the path just in front of Craigavon Civic Centre. The finish is on the path just in front of Craigavon Civic Centre. Can I swap my race number? No. Each individual is set up with a registration/race number. The race number is specific to the registration details you give online and is for your personal use only. For health and safety reasons you cannot change or offer this number to anyone else. Any participant with the wrong race number will be disqualified. All competitors acknowledge that they will be running at entirely their own risk and to the extent permitted by the Unfair Contract Terms Act 1977. The Craigavon Lakes 10km Organising Committee will not be liable for any loss, damage, illness or injury whatsoever directly or indirectly occasioned by or resulting from the negligence, wrongful act or default of the Committee, its members, employees or agents or from any other cause including the physical condition of the competitor. Each individual is set up with a registration/race number. The race number is specific to the registration details you give online and is for your personal use only. For health and safety reasons you cannot change or offer this number to anyone else. Any participant with the wrong race number will be disqualified. Where will times for the race be posted? Area marked in Yellow is entrance to Rushmere Shopping Centre’s Customer Service Desk where race numbers must be collected. Walk towards Post office and Bus Stop, cross the road and cross the bridge and walk down to the start line.